When we first saw the trailer for King Arthur: Sword of Legend, we thought, “Hey, that’s badass.” Then we got to thinking . . . are there any Arthurian legend movies that aren’t badass? Answer: there are plenty. So go see the movie and compare badass to least badass! Before you get up in arms, we’re not disputing the quality of this remake. We’re just saying it’s not exactly badass. Because it’s not. While we love how Merlin and Arthur turn into various animals so Arthur can learn school lessons, it doesn’t exactly strike fear in our hearts. 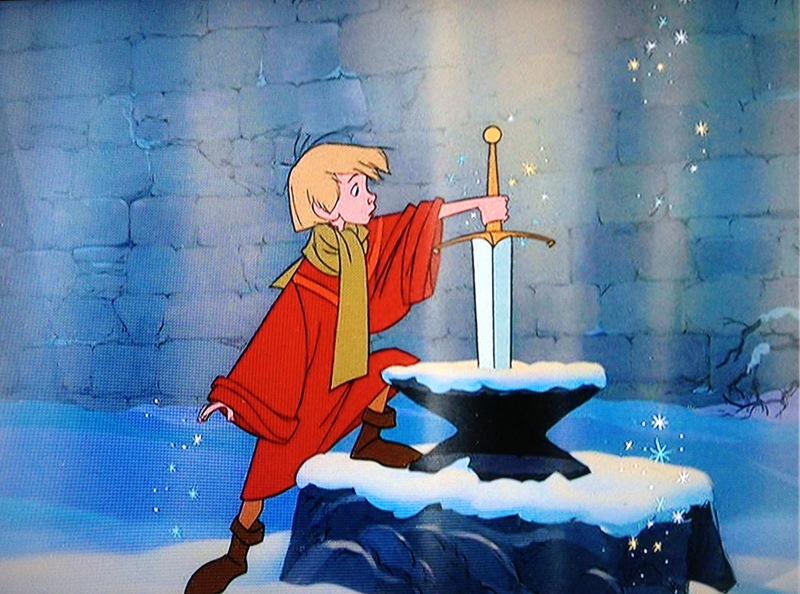 The climax of the story is a young boy pulling out a sword from the stone. That's not exactly our definition of edge-of-your-seat action. Rating: As badass as accidentally cutting yourself with your parent’s sword-shaped letter opener. We absolutely love this film, but it is the antithesis of badass. Arthur “riding” a horse by prancing to the sound of coconuts? A killer bunny? Sorry, but none of these things scream “badass.” After all, King Arthur himself declared that Camelot “’tis a silly place.” So while we might think this is the most fun version of Camelot, it is not exactly the most fierce or badass. Rating: The complete opposite of all things badass, but still an A+ film. 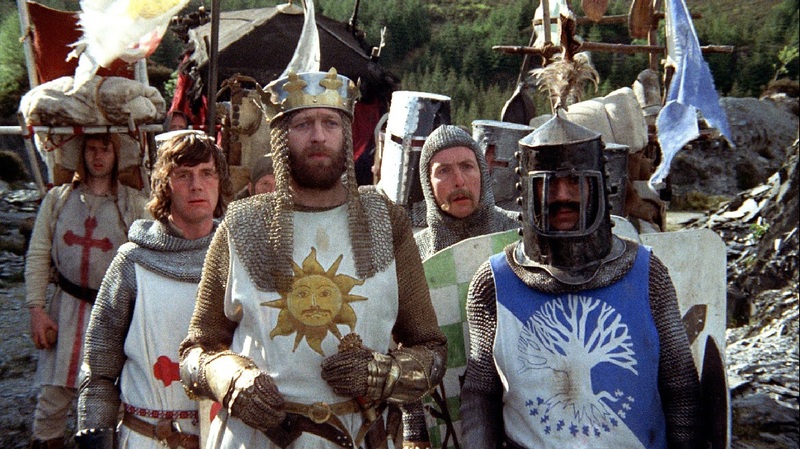 Okay so there’s sword fighting and NASA technology in this adaptation of Mark Twain’s A Connecticut Yankee in King Arthur’s Court, but the outfits are just too goofy to take seriously. Not only that, but the dated technology does not stand the test of time. While we give this adaptation points for cleverness for trying to update a classic, it makes us laugh more than gasp in awe or shock. Besides, with a title like that, it HAS to make this list. Rating: Outfits lose badassery points. Sword fighting gains badassery points. 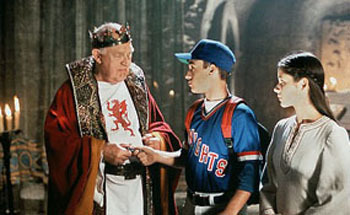 Movies based on A Connecticut Yankee in King Arthur’s Court are doomed to be cheesy—but also kind of great. Instead of intense sword fights and daring adventures, this one is about a kid who is stressed out because he chokes when he plays baseball and is then transported back in time. Things that make it not badass: his silly title as wizard and the scenes where he introduces them to CD players and skates. But hey, Kate Winslet is in this one! Rating: A cool flick, but decidedly not badass. The premise of the movie sounds promising: Sir Lionel’s daughter wants to be a knight of the round table. That is pretty badass by itself. However, the goofy two-headed dragon kills all the badass credit the film has built up. Also, one of the villains is a rooster. Yes, you read that correctly. One of the most threatening elements in the film is poultry. Rating: As badass as roosters can be.